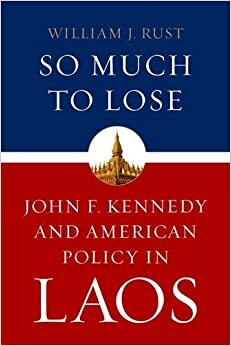 In So Much to Lose: John F. Kennedy and American Policy in Laos (University Press of Kentucky, 376 pp., $40) William J. Rust offers a meticulous account of President John F. Kennedy’s vacillating actions toward Laos in the early 1960s. So Much to Lose is a sequel to Before the Quagmire: American Intervention in Laos, 1954-1961. In that 2012 book Rust examined how both President Dwight D. Eisenhower and Kennedy attempted to deal with the rising threat of communism in Laos prior to the big U.S. build up in Vietnam. Kennedy inherited Eisenhower’s policies, which grew out of President Truman’s decision to provide American support to the French effort to reclaim its Indochinese colonies after World War II. The French, of course, were defeated, and Eisenhower’s famous “domino theory” became American policy. The idea was to keep Laos neutral so that the widening war in South Vietnam—and American military involvement there—didn’t grow still wider. To an extent, Soviet Premier Nikita Khrushchev agreed that the two superpowers had no interest in Laos, and supported neutrality. But even though North Vietnam was in some ways a Soviet client state, Khrushchev could not control Hanoi’s leadersship. Kennedy might have wished that Laos was a problem that would go away. He found himself supporting the FAR (the Laotian army, or, from the U.S. point of view, the good guys), as well as the so-called “neutralists” in battles on the Plain of Jars against the North Vietnamese-supported Pathet Lao. But Kennedy had no thought of direct intervention for fear of widening the war and destroying entirely the idea of neutrality. This proxy war, supported by the State Department and the CIA, blew hot and cold during JFK’s shortened presidency until, with Kennedy’s assassination, the problem became President Johnson’s in 1963. Infighting among the American-supported factions, a coup, and increased pressure from the Pathet Lao combined to effect the primary communist objective: the security of the Ho Chi Minh Trail. Said Trail, leading through “neutral” Laos and Cambodia, greatly facilitated the much bigger war in South Vietnam. Kennedy was reluctant to commit American troops even though he was fiercely anti-communist and a believer in the domino theory. But he never had to deal with the increased power and ferocity of the North Vietnamese. Rust can’t say if JFK’s reaction to the North Vietnamese aggression would have been similar to that of Johnson who committed, at the height of the war, more than a half million American troops. Rust’s diplomatic history provides plenty of details for speculation about what JFK would have done in South Vietnam (and Laos) had he lived. So Much to Lose, in fact, may provide too much detail for the general reader. But if you want to learn about how wars get started—and wobble out of control—this book will tell you. The poet, novelist, storyteller, and columnist Jim Northrup’s latest book is a short, fast-reading novel, Dirty Copper (Fulcrum Publishing, 203 pp., $15.95). In it, Northrup spins out the story of Luke Warmwater—the hero of his award-winning short story collection, Walking the Rez Road (1993)—who is back home on the Anishinaabe reservation in northern Minnesota after surviving a harrowing tour of duty with the U.S. Marine Corps in Vietnam. Jim Northrup enlisted in the Marine Corps in 1962, and served for four years. That included a thirteen-month tour of duty in Vietnam with India Company, 3rd Battalion, 9th Marines in the 3rd Marine Division from 1965-66. The Vietnam War is never far from Luke Warmwater’s thoughts in this engaging novel, which covers his first few years after getting home. Warmwater has post-war nightmares and daytime flashbacks after becoming the first Native American deputy sheriff in Carlton County, Minnesota. He then moves on to a job in the Waukegan, Illinois, Police Department. Northrop tells Warmwater’s story in bursts of short, simple sentences. The style works well to illuminate the day-to-day details of this Vietnam veteran’s life, as well as his flashbacks and nightmares. The themes are both broad (Vietnam veterans’ readjustment problems after coming home from the war; institutionalized racism and discrimination faced by Native Americans) and narrow (Luke Warmwater’s love life, family life, and work life). Marc Leepson is a Vietnam veteran, historian, journalist, author of eight books, editor of this web page, and arts editor of The VVA Veteran. 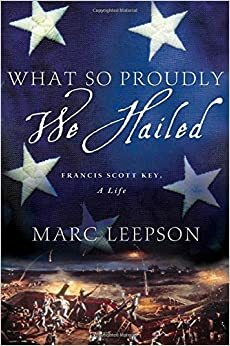 With What So Proudly We Hailed: Francis Scott Key, A Life (Palgrave Macmillan, 256 pp., $26), Leepson has used his research, his clear prose style, and his story-telling talent to produce a brilliant book that brings history alive. I learned everything I ever wanted to know about Frank Key (as he was known) and his song. Key was an important and contradictory figure in the Jackson years—involved in “Indian Removal” and on both sides of the slavery question in his private legal practice and as U.S. Attorney for Washington from 1833-41. He believed slavery was evil, but he was also against Abolitionists. He was a slave holder and a very religious man who found nothing in the scriptures against slavery. He thought the solution was to send free blacks to Africa. But he did not commit himself to the program to the extent of accompanying them. Most white men who did died of fever. 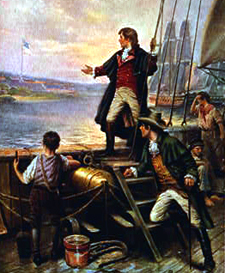 When he observed the shelling of Fort McHenry by the British Navy during September 1814 Battle of Baltimore in the War of 1812, Key was not a part of the battle, but safely observing at a distance. So he had the time and presence of mind to compose on the back of an old letter the deathless words that became our national anthem. Leepson’s use of quotes is stunning and effective. Sometimes he is even funny, as when he includes an advertisement for a lost black and white cow for which Key offers a reward of $5. His success with parenting was hit and miss. Leepson’s details about Key’s children and their various foibles humanizes Key and helps make him more sympathetic. Most men who could owned slaves in those days. Although it is hard not to judge him for his inconsistency, Key rode in a funeral procession in Washington, D.C., for a prominent African-American citizen—the only white man to do so. At the heart of Key is a great but not uncommon mystery, and Leepson has brought that mystery alive. Susan S. Rosvall’s Silence is Broken (Dog Ear Publishing, 284 pp., $16.95, paper) is a work of fiction, but is based on Rosvall’s brother’s life story. Rosvall’s brother was deployed to Vietnam in 1966 as a 1st Infantry artillery specialist. The author has done thorough research to provide an accurate historical context for her story. There is a long historical section in the back of the book, as well as a lengthy bibliography. There also is a section on Agent Orange, which makes the point that 100 million pounds of that extremely toxic herbicide was sprayed over millions of acres of South Vietnam. “All names have been invented,” Rosvall writes, “and exact interactions are incidental.” The unit that the book’s main character, William Scofield, is assigned to, Battery X, is fictional. Rosvall says early on that those who served in the Vietnam War were men “who couldn’t make it in school” and those who had no family influence or the money to escape the war by going to Canada. There’s plenty of truth in that. However, it also is a generalization that makes me uncomfortable. That’s because there were plenty of us who served in Vietnam who had done just fine in school. I get that William Scofield is an undiagnosed dyslexic and that his struggles with reading got him in this pickle. John Wayne gets plenty of mentions in the book, as does Bob Hope. We are informed that Bill is assigned latrine cleaning due to the antipathy of a sergeant who is southern to the core and who hates “college boys” and Californians. Bill never did well at the community college, so the irony of being singled out for ill-treatment for being a “college boy” is not lost on him. The characterization of the southern soldiers in this novel is very brutal. Most of my best friends when I was in Vietnam were southerners. None of them were the unlettered, racist brutes that figure prominently in this story. I am not doubting the reality of their existence in Bill’s Army experience. All I can say is I’m glad that my Army time was not like Bill’s. I have encountered no book that better describes the daily life of an enlisted artilleryman. The pages of detailed explanations of what Bill and his cohorts had to do to keep the big guns firing into the wilderness, the free fire zone, are graphic and powerful. I can think of no better novel on the use of howitzers in Vietnam. The section dealing with the battalion’s encroachment on the famed Michelin rubber plantation that paid protection money to the VC and gets money from the U. S. government for each young rubber tree that is uprooted, brings home how hopeless this war was. Bill ends up with a $2,000 VC bounty on his head for his exploits with the howitzer, and is awarded a Bronze Star. The book has several small but annoying glitches of that kind that often creep into a Vietnam War novel written by someone who did not serve in the military or been in the military in Vietnam. The frequent references to sergeants and corporals as “officers” got under my skin. The description of An Loc as having “the pungent odor of rotting fish and botulism” displeased me. You can’t see, smell, or taste botulism. When “H & I” is referred to as “harassment and irritation” I ground my teeth. “Interdiction” was the word the author was searching for. Consulting The Webster’s New World Dictionary of the Vietnam War would have prevented that confusion. These are small cavils, however. They are more than balanced out by the author’s gift with narrative and story-telling which she uses to fine effect in the book. She shows how the “thrilling sense of American invincibility” that “kept spirits high” turns into a world-weary acceptance that the war is not going as well as men in the trenches are led to believe. We are shown that the Iron Triangle in III Corps that the 1st Infantry entered in early June of 1966 deserved the name. The sense of American invincibility died there for Bill and his fellow soldiers. 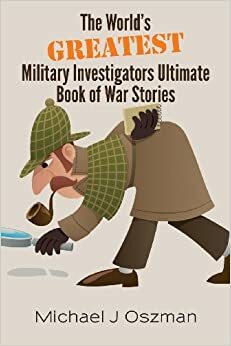 Michael J Oszman’s The World’s Greatest Military Investigators Ultimate Book of War Stories (CreateSpace, 60 pp., $10, paper) is a collection of fiction, rumors, war stories comments, dim memories, and a little truth. Oszman dedicates his book to his brother Chester and a friend named Eddy, both of whom died in 1994. I believe that they would hope—as I do—that is the first of many such writings. The author received a degree in criminal justice and went to work for an agency of the government. He never reveals which agency because he says that if he did, he would have to kill the reader. Oszman opens with an explanation of a rule that was extremely difficult for most military people to understand: the procedure by which troops had to receive permission to fire on the enemy. Perhaps he placed this entry at the beginning of the book because it sets the surrealistic tone of his reporting. The book continues with dozens of brief descriptions of incidents Oszman investigated. Some are comedic and some disastrous. The author closes each incident with a bit of his own wisdom or laugh line. The case of an exploding latrine tells how a soldier was ordered to burn material but no one told him to first remove the drums from the latrines. So he poured two gallons of gasoline into the stuff and threw in a flaming rag. As a result, a lieutenant was seriously burned. In another incident, one trooper, suspecting that an inspection was imminent, passed around a bottle of Jack Daniels. When it was half empty, he pissed into the bottle before an officer confiscated it. The reader can only imagine the look on the officer’s face when he took a swig. Oszman describes another incident in which the main communication lines to Air Force command were cut. Since the lines had been buried and there was no map to locate them, it was assumed that the enemy had sabotaged them. Panic ensued. In the author’s special note he explains that the wires had been accidentally severed by a backhoe. Oszman follows the first twenty investigative reports with a shift to military life in Korea. He tells of a Korean farmer who pick-axed a pipeline of jet fuel thinking that the line was carrying water. In another fuel incident, a Korean houseboy filled barracks heaters with gasoline. After he learned about the color coding of fuel tanks, the houseboy was observed tasting the fuel cans to make sure he had the right stuff. The author opens one chapter with a comment about the horrors of Agent Orange. Large numbers of veterans, including Oszman’s brother Chester, suffered and died from the being exposed to that toxic herbicide. In a humorous episode, a large flight of helicopters passed over a group of officers. Objects began falling from the helicopters. The objects were condoms filled with urine. One landed on a major’s head. Oszman was ordered to find out who perpetrated that foul deed. He closes this short book with a few observations about the conundrum called the Vietnam War, and ends with the statement, “but that is another story.” We hope he shares that story with us. Elijah Imlay’s Monsoon Blues (Tebot Bach, 88 pp., $14.25, paper) is a collection of poems drawn from the author’s experiences as an Army bandsman stationed at Camp Eagle in Vietnam in 1971. Imlay has arranged the poems chronologically, which results in a cogent poetic narrative of his time in the war zone. He uses a variety of styles in this book of short poems, making it fun to read. This is a welcome book, as the literature of the Vietnam War relating to bandsmen is limited. The only other worthy published effort that leaps to mind is by Richard E. Baker, who went to Vietnam to play coronet but ended up setting ambushes. When I tell people that I often stood formation in the early morning in Vietnam in the near darkness on a wet parade ground and had to leap out of the way to keep from being run over by a marching band playing a Souza march, that tale is often pooh-poohed. But the fact is that seventeen Army bands were stationed in Vietnam during the war. Imlay played clarinet with one of them. In Monsoon Blues, we meet Imlay’s friend Bird, the man responsible for organizing a rock band to tour fire bases. We hear a lot from Bird. His is a voice worth hearing, conveying what it was like to be in the jungle with the First Cav. The book is arranged in four sections; each packs a punch. “Playing with the Band in Nam,” which appears near the end of the book, is my favorite poem. The beautiful, fiery orange cover features band instruments and a bandsman, rather than the usual helicopter and beleaguered grunt that often adorn the covers of books dealing with the Vietnam War. The poems do not let down the hopeful reader. Buy and read this unique book of excellent poems. 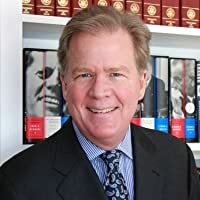 David L. Anderson and John Ernst, the editors of the 2008 anthology The War That Never Ends: New Perspectives on the Vietnam War, which is out in a new paperback edition (University of Kentucky, 376 pp., $28), dedicate this worthy volume to the eminent Vietnam War historian George Herring. He is the author of the classic concise history, America’s Longest War: The United States and Vietnam, 1950-1975 (1979). Herring, the Alumni Professor of History Emeritus at UK, contributes an excellent essay, “The War That Never Seems to Go Away,” to this collection. It deals with how the lessons and experiences of the Vietnam War have become part of the debate whenever the United States gets involved—or thinks about getting involved—in military action around the globe. Other contributors include Vietnam War historian Marilyn Young, who writes in her introduction, “Why Vietnam Still Matters,” that—as Herring indicates—the lessons of the Vietnam War have mattered very much in “each conflict in which the United States has engaged since 1975.” Also of note: Robert K. Brigham’s essay on Ho Chi Minh, Confucianism, and Marxism; Robert Topmiller on the Buddhist antiwar movement in South Vietnam; and Robert Buzzanco on military dissent during the Vietnam War. Anderson is a history professor at California State University, Monterey Bay, who has written widely about the Vietnam War and who served a 1968-70 tour of duty in Vietnam in the U.S. Army Ernst is a U.S. History prof at Morehead State University where he teaches a course in the Vietnam War, his specialty.